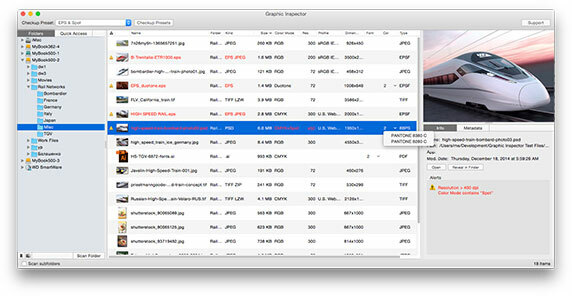 Graphic Inspector displays extensive info on entire folders on images and vector graphic files and lets you quickly locate files with specific attributes. It's designed to help users of any trade, whether it's print, web design, electronic publishing or digital photography. With Graphic Inspector, you can quickly get crucial information on multiple graphic files instead of opening and checking each of them manually. 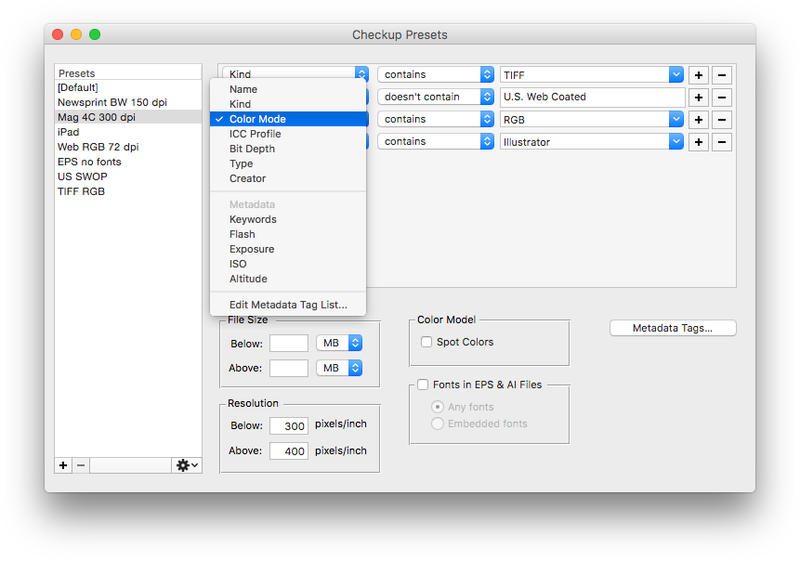 And Checkup Presets turn Graphic Inspector into a powerful quality control solution which lets you quickly discover files with unwanted attributes and helps preventing costly mistakes. For example, Graphic Inspector can flag all RGB JPEG files whose resolution is below 300 dpi, ICC profile doesn't contain "US Web Coated" etc. Export file data as tab-delimited text file.